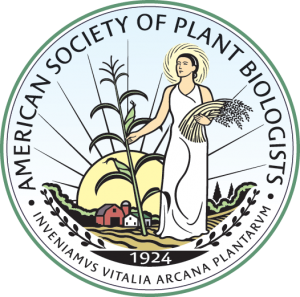 As of October 2018, the American Society of Plant Biologists (ASPB) Ambassador Program will be restructured to function under the following bylaws. The document below outlines the new governance structure, defines the responsibilities of each role, and details the approval of new Ambassadors. Educate upcoming and new plant scientists about the importance of belonging to a professional society to enhance their career and be part of continuing the efforts of plant biology research. Expand ASPB’s membership base of younger constituents and industry scientists to ensure continued growth of the community. Act as a liaison between the Governance of ASPB and the plant science community. Act as a representative of ASPB to the plant science community, the general science community and the public at large. Gain leadership and organizational skills by working independently and together to accomplish the goals of the ambassador program. Gain networking connections by communicating with other Ambassadors, scientists and ASPB member. In order to retain membership, Ambassadors must participate in at least two selected and three required activities that meet these goals, as described below in the Ambassador requirements and benefits section. At the end of each calendar year, all Ambassadors must submit a 1-2 page report detailing the activities they participated in during the past year, outline plans for activities to occur during the coming year and discuss what they have learned as an Ambassador. A checklist/template will be provided to the Ambassadors to aid in writing this report, which is due Mid-November to the Ambassador Secretary. Those who wish to be an Ambassador must be a current member of ASPB and submit an online Ambassador application. Applications will be reviewed on a quarterly basis by the Ambassador Alliance together with the Membership Committee Chair and the appropriate ASPB staff (March, June, September, and December). Responses will be sent to applicants by the middle of the following month. The ASPB Ambassador Program will be a semi-independent organization within ASPB with oversight by the Membership Committee. It will be governed by an ad-hoc committee of five people serving as either the Chair, Vice Chair, Secretary, Membership Committee (MemCom) Representative, and Outgoing Chair. This group will be called the Ambassador Alliance. Each position will last for one year. Quarter 1 focuses on general operations and distribution of a summary of the previous year’s activities. Quarter 2 focuses on general operations and managing nominations for Secretary and MemCom Representative for the following term. Quarter 3 focuses on general operations and the election process. Quarter 4 focuses on new officer orientation and a review of all Ambassador reports to compile into one annual report to be submitted to MemCom. Each quarter, the Ambassador Alliance will be required to review new Ambassador applications, provide guidance to Ambassadors, review requests for funding from Ambassadors, and respond to information requests from Membership Committee and ASPB staff. The Chair and Vice Chair will typically cycle across a 2-year term. An Ambassador will first be elected to Vice-Chair and will serve in that position for one year prior to advancing with a (usually) non-contested election to the Chair position for one year. Outgoing Chairs will continue to serve on the governance committee for one year in a less active role in order to provide guidance to the current Chair and Vice Chair, if needed. This ensures autonomous oversight and preserves institutional memory. The Secretary and MemCom Representative will be elected every year to serve a one-year term. Elections for these positions are contested – any current Ambassador may be self-nominated or nominated by another Ambassador for the position. Nominations for Secretary, MemCom Rep and Vice-Chair will be collected at the end of quarter 2 and elections will be held during quarter 3. In the case that a Vice-Chair declines to continue as Chair, the Chair position will also be included on the election ballot. The Secretary will work as the communication director for correspondence to the Ambassadors via newsletters or updates, and monitors the deadlines and requests from MemCom and ASPB. Ambassador reports will be submitted to the Secretary. The Vice Chair is responsible for assisting the Chair in whichever capacity requested by the Chair. Additionally, the Vice Chair will work with the Chair to identify authors and ensure submission of articles for the Luminaries and Membership Column sections of the ASPB newsletter and compile the individual Ambassador yearly reports into one report to be submitted to MemCom. The annual report will be submitted at the beginning of quarter 1. The Chair oversees all activities, works with the Vice Chair to identify authors and ensure submission of articles for the Luminaries and Membership Column sections of the ASPB newsletter. The Chair also heads the Ambassador review process and organizes the internal review to finally make recommendations to MemCom. The Chair will assign current Ambassadors to working committees and seek to recruit new leadership to run the Ambassador program in the future. The annual report will be submitted at the beginning of quarter 1. The Outgoing Chair serves on the governance committee to provide guidance to incoming Chairs and Vice Chairs. The Outgoing Chair can pitch in any crisis situation, if occurred, and will help the office holders as needed. The MemCom Representative acts as a liaison from the Ambassador Program to ASPB’s Membership Committee. The MemCom Rep is expected to attend all MemCom meetings and provide updates on the happenings of the Ambassador program. Rep to MemCom can pitch in any crisis situation, if occurred, and will help the office holders as needed. Membership Committee will appoint officers for the 2018-2019 year in order to aid the program’s transition to its new structure. Environmental/ Civil Engineer | ecology and environment, inc.